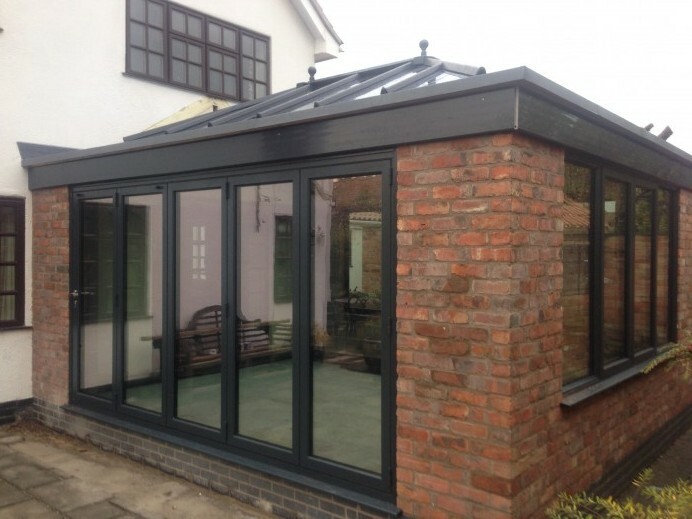 Over the years we have constructed a large number of orangeries that have been intended to have a certain purpose within the house, which isn’t being a dining or living room. This has involved us building music studios, art studios and cinema rooms, which will then have an orangery forming the housing area for the customers project. 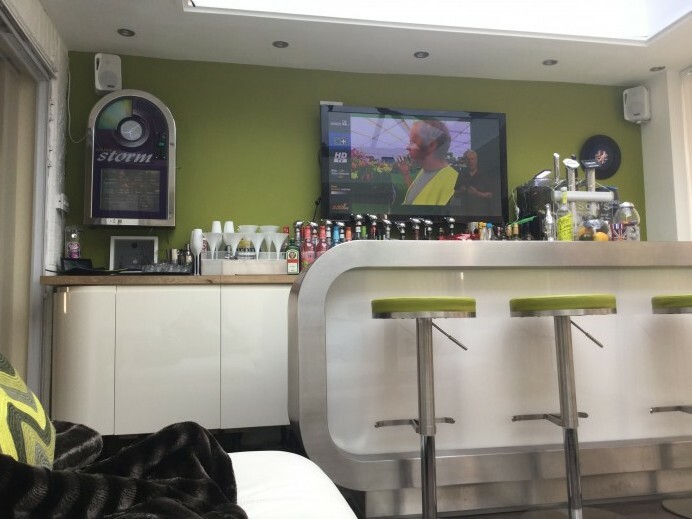 This customer wanted to have an orangery for something different as well, and build a seven metre by five metre orangery to house a new bar the customer was having built at their house. When designing the orangery, the customer wanted to have a brick work exterior with a five pane Origin bi fold door, finished in anthracite grey fitted across the front, and then four Origin anthracite Grey windows on the right hand wall of the orangery. 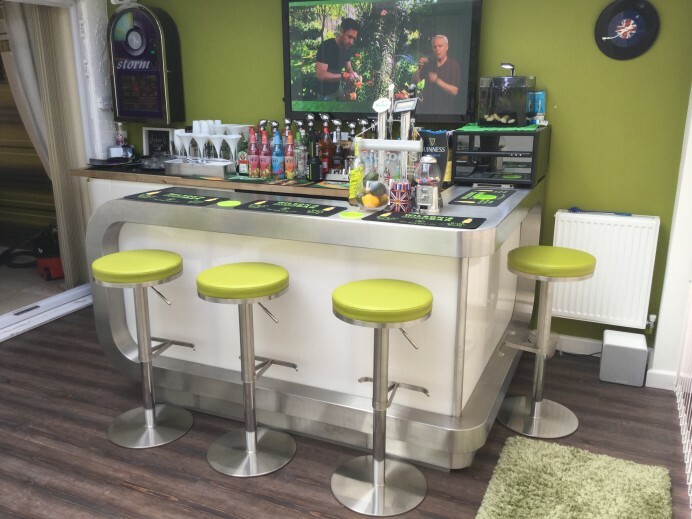 When we finished the orangery build, and laid down the flooring for the customer, they then had another company fit a bar within it. As you can see from the images, this stylish bar is a fantastic finishing touch to the orangery.